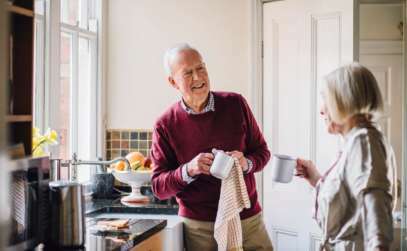 Research suggests that over 83 per cent of seniors are willing to do what it takes to stay in their homes as they age. With numbers like that, it’s no surprise that many companies are offering different technologies to allow them to do so. 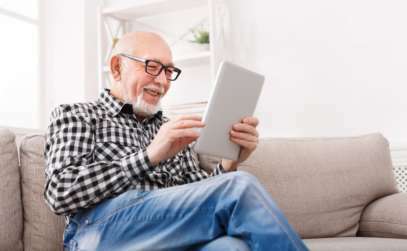 These strategies range from homecare service arrangement apps, to virtual reality, media, artificial intelligence, network connectivity and even, robotics. Home care companies such as Vytality at Home can mobilize a number of different strategies to allow their clients to stay at home independently. Local companies, such as PCS (Priority Communications Systems) are deploying monitoring systems such as: stove and water monitors to protect from fires and floods, lifeline and fall detection systems that deploy assistance when pushed and GPS monitors for those that may be at risk of wandering. Another example of innovative technology is the Apple Watch, which monitors movement, falls and your vital signs (EKG, blood pressure). In future releases, the Apple Watch will even be able to monitor your blood sugars. Of course, we can’t forget about Alexa, Siri or Google being just a quick request away at any time. Technologies such as FaceTime, Skype or Echo Spot allow face-to-face calls with family that you can’t see everyday. Robotics are currently being developed for those with memory impairments as well as those who are socially isolated. A Japanese company is now selling Paro, an electronic harp seal that reacts to touch, chirps, plays games and dances with seniors. Over the next 15 years, it is suggested that these ‘robots’ will be common place in homes and seniors’ communities. Locally owned and operated, Vytality at Home, is using their background in senior care to launch an app that will make home care fully transparent and available at the touch of a button. Their app allows seniors and their families to choose a caregiver, schedule their visits and pay them electronically. Through the app, families will receive notifications of the caregiver’s arrival, they can communicate with the caregiver through messaging or video conferencing, and when the visit is complete, they even get to rate the care. The combined features of the Vytality at Home app will allow for increased communication and piece of mind, during the homecare visit. Vytality senior home care services have a laser focus on the customer and improving the experience of the senior and their families. The possibilities are truly endless when it comes to creating technology that allows people of all ages to live more comfortably and easily. In the next five to ten years, innovations in the tech sector that allow people to age at home safely will be the standard, not the exception. By embracing technology and combining it with traditional homecare services, Vytality at Home will be able to provide a fuller and richer experience to their clients and families, and contributing to the positive trend of seniors living safe, fulfilling and healthier lives in their home with the best Calgary Senior Home Care.